What makes Elite Diamond Performance Unique? Every hitter is different and should be trained according to their unique needs. Personalized programming begins from the first visit. Every player is given an initial 90-minute assessment that consists of a bio-mechanical evaluation and a hitting session utilizing state-of-the-art technology to give a complete profile of the hitter and their swing. This helps determine strengths and weaknesses of each hitter and helps the player truly understand their swing. Using this data, a personalized plan is put in place to help every player improve. Every swing at Elite Diamond Performance is measured and recorded to ensure players are moving in the right direction. Everything from the way the body moves to the way the bat moves to the result of each hit is measured. Quantifiable data gives players proof on how they are improving and allows them to understand what works and what doesn't. One of the main goals at Elite Diamond Performance is to teach hitters about their swing and help navigate through a confusing world of information about hitting. Through the use of video and analytics, hitters get a unique view of every swing they take. This helps them understand what works and what doesn’t and shows them what they need to do to improve. Elite Diamond Performance combines years of research in studying hitting mechanics with the latest state of the art technology to improve offensive ability. 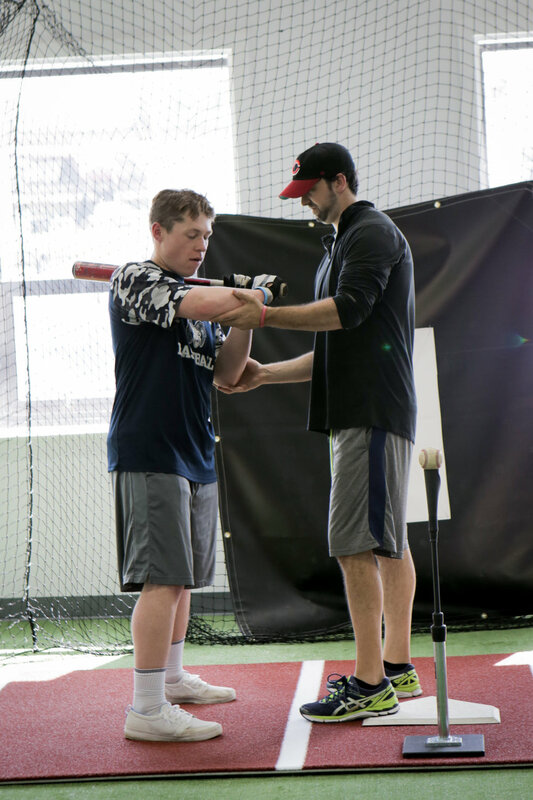 Every player who trains at Elite Diamond Performance will have access the the Hit Trax System. Hit Trax is a baseball simulator that show how every hit in the batting cage would translate to a real field. It records every swing during a session and captures invaluable information on exit velocity, launch angle, and many other metrics which help show areas that need improvement. This information is used to design an individualized program of drills and methods to improve at the plate. Whether it be in an individual or a small group setting, every hitter is provided a unique plan to work on both the physical and mental sides of hitting.